Riding a motorcycle can be both incredibly thrilling and incredibly dangerous. This is because your body is completely exposed, making injuries and even death, more probable if you're in an accident. That's why, to keep yourself as safe as possible, you need to wear protective gear when you ride. If you aren't sure of how to stay protected when riding, give this post a read! Visit AMSOIL's online store, or call John O Brown in Show Low at (520) 444-2634 if you want to keep your motorcycle in top shape for longer. An injury to the head can have dire consequences. At the very least, your head will hurt; at the very worst, you could die. That's why it is absolutely imperative that you protect your head with a helmet each time you ride (if you have passengers with you, they should wear one too). Don't worry, they won't limit your hearing, visibility or mobility. What they will do, is absorb some of the shock from the impact, which could save your life. If you don't have one, Bloomberg has put together a list of the best helmets for you depending on the type of rider you are. When thinking about motorcycle gear, some people completely forget about gloves. Some even think they're not necessary at all since they'll only protect the hands against branches, rain, or other elements. But, let me ask you this: when you're falling, what do you do? You reflexively stick your hands out to break your fall, right? If you're on a motorcycle, your hands could shatter upon impact, which why gloves are necessary. Your best bet is to opt for leather gloves that have reinforced palms, so you can protect your hands effectively in every situation. Your eyes are one of the most important organs of your body since it is through them that you get the most information about the world around you. Unfortunately, they are one of the most exposed and sensitive organs as well. Since you can't afford to be blinded by rain, dust, sunlight, or other elements when you're riding your motorcycle, you will need to don protective eye gear. If your helmet doesn't include a shield for your eyes or face, a pair of goggles will do the job of keeping your peepers safe and functional. 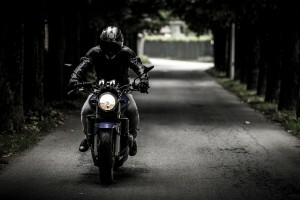 By now, we've mentioned what you can do to protect your head, your eyes, and your hands against the circumstances that can befall you when you're riding a motorcycle, but what about the rest of your body? Worry not, as there's also gear you can use to keep your body as safe as possible in the event of an accident. For instance, long jeans and a high-quality motorcycle jacket can prevent scratches, bruises, and in some cases, broken bones. It's important to note that wearing loose clothing or pieces that are too big on you while on a motorcycle could actually be disastrous, so avoid them. Keep your motorcycle lubricated, protected, functional, and safe with AMSOIL 20W-50 Synthetic V-Twin Motorcycle Oil. Call John O Brown at (520) 444-2634 to place an order. Yes, you should even consider what you wear on your feet when you ride your motorcycle. This is because, believe it or not, your footwear can determine how safe your feet are and may even impact your driving abilities. For example, if you ride with heels or flip flops, your shoes could get caught somewhere or fall off, which could cause an accident. That's why it's suggested that you wear boots or sneakers that won't interfere with your ride and that can keep your feet and ankles unharmed in an eventuality. Finally, there's another type of gear that you may want to take into account since they could make your motorcycle riding experience more comfortable and safe. For example, if you're someone who cares for their ears and doesn't want to damage them, you may need to wear earplugs that can block out some of the noise of other cars, wind, and things passing by. During the colder months, donning a balaclava can be a good idea to stay warm when you're riding and all of the chilly winds are hitting your face. Remember to stop by AMSOIL's online store, or to call John O Brown at (520) 444-2634 if you'd like to place an order on the best synthetic oil in Show Low for your motorcycle's maintenance.